Fifty years ago today we lost the biggest entertainer in the world, Sonya Kalish Abuza, a.k.a., Sophie Tucker. A veteran of the stage, screen, and phonograph, her sixty-year career began during the era of Edison’s wax cylinders, spanned the era of the microgroove LP, and concluded at the time the Beatles were beginning their “mature” phase. By the time she got sick in late 1965, Tucker was seen by the youth as a relic of their parents’ generation, but her appearances on Ed Sullivan and the omnipresence of her Mercury LPs and her autobiography, Some of These Days, meant she was never out of sight and was a force to be reckoned with one way or another. The BBC has put together an appreciation that you can read and listen to here: http://www.bbc.com/news/magazine-35505532. We were interviewed for the piece and are happy to report that presenter William Kremer did a nice job. One key theme he emphasized was race relations. The two incidents repeated here are her promotion of songwriter Shelton Brooks and her defense of Bill Robinson, the dancer known as Bojangles. The story about Brooks goes this way: Sophie’s maid was friends with Brooks and sought to get him an audience with her employer. One night she sneaked him into Sophie’s dressing room, where he presented her with his new song, “Some of These Days,” which went on to become her signature piece. That must have been about 1910. The other story involves a party Sophie threw for her sister in the ’20s at a fancy hall in New York: when the doorman insisted Robinson could only enter through the back door, Tucker declared the front door to be closed and marched everyone through the back door. 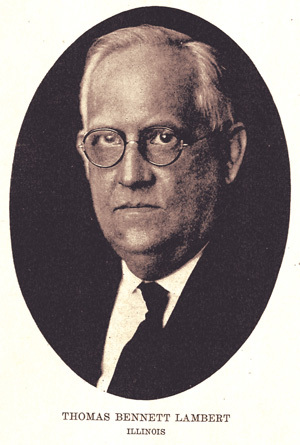 As noted by Jim Walsh, chronicler of pioneer recording artists, if you were to walk into 312 West 20th Street in Manhattan in the early 1930s, you would be standing in a theatrical booking agency, run by one Dan W. Quinn. But what Walsh didn’t realize was that this was also Quinn’s home. Now what we don’t know is how much space he and his family had in that flat in the days before all the apartments were cut up into smaller units. Was Quinn able to set aside dedicated space for the business and keep his home private? Or was there no real “agency” to walk into? Does anybody know? I’m beginning to think that Twentieth Street is illustrious. #4 East 20 St, Howley, Haviland & Co had their famous publishing house, 29 East 20 St, was George L. Spaulding, Publisher, where “I Guess I’ll Have to Telegraph My Baby” (Geo. 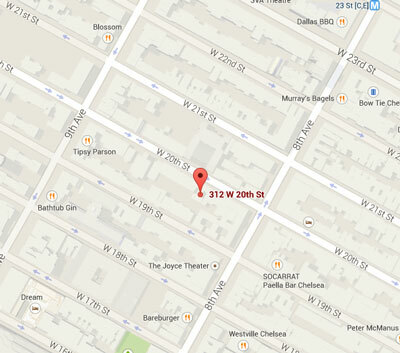 Cohan) was born, 41 East 20 St, Stern & Marks, held forth. Now we have Music Lover’s Guide, at 42 East 20 St. The mansion at 28 E. 20 still stands, majestic and grand—where Theodore Roosevelt was born. Gottschalk & Alpuente—the great Concert Managers, at 21 E. 20 and last but by no means the least—a-hem, Dan W. Quinn, at 312 W. 20. Now do you not think we are rather proud of Twentieth Street? Dan Quinn’s old stomping grounds. Quinn lived the better part of four decades in the Chelsea neighborhood. 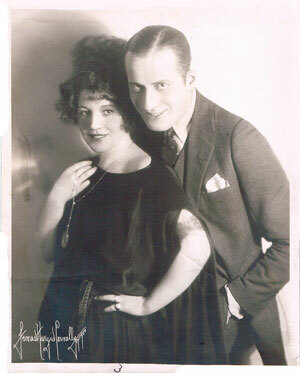 In a previous post, we noted that Dan W. Quinn made a few duets ca. 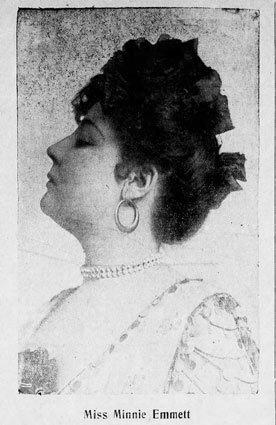 1895 with Minnie Emmett for the United States Phonograph Company. This seems to be a fact not widely appreciated. Has anybody out there got one? We have here two well-blended voices, producing a charming effect on the Phonograph. 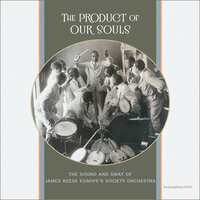 The work is a new and an original departure, and the duets are well adapted for general purposes. Very musical and showy, brilliant and firm in tone. Sure to be popular, both from the nature of the subjects and the reputation of the artists. Priced at $1.50 each, the titles were “Gobble Song” (from La Mascotte), “Reuben and Cynthia” (from A Trip to Chinatown), “He’ll Love You Bye and Bye,” and “The Spider and the Fly (with Buzzing of Flies, Mewing of Cats, and Cat Duet)” (from Isle of Champagne). Emmett also did a solo with Mr. Maxwell, “Back to Our Mountains” (from Il Trovatore). SOPRANO SOLOS BY MISS EMMETT. ONLY SUCCESSFUL RECORDS OF THE FEMALE VOICE EVER TAKEN. After a series of experiments extending over several years of record making, we can now offer to the public what we believe to be the first true records of a high soprano voice. No squeak, no blast, but natural, clear and human. Miss Emmett has a round, sweet voice, sympathetic, and under perfect control. Her records would sell on their merits, even if they did not represent a new achievement in our art. They are made one at a time. She made “Sweet Marie,” “Somebody Loves Me,” “Little Wooden Shoes,” and “They Are the Best Friends of All.” A supplement, also ca. 1895, listed these and four others: “When You Know the Girl You Love, Loves You,” “Pretty Maggie Mooney,” “I Don’t Want to Play in Your Yard,” and “Rosie, Sweet Rosabel”—price, $2.00 each. Ouch. If you like the sound of a serious singer doing popular songs, then you’ll definitely like Emmett. If, however, you prefer your comediennes to sing in a more rough-and-ready way, stick to Ada Jones or Elida Morris. But a web search for Minnie Emmett shows a good amount of interest in her, so it’s necessary to make a few observations. Revised April 30, 2015 to include new information from the Quinn family. We’re getting close to wrapping up our Anthology of Dan W. Quinn, and something occurs to us. One of the challenges in telling the stories of the pioneer recording artists is trying to get a sense of what they were like as people. The stars were much more anonymous than today: They weren’t (for the most part) celebrities, each new record wasn’t accompanied by a media blitz, few got biographies or biopics, and TMZ wasn’t on hand to catch them out and about. To try and learn what their lives were like outside of the studio, we have to rely on the printed material that survives (industry publications and news items) and genealogical sources. 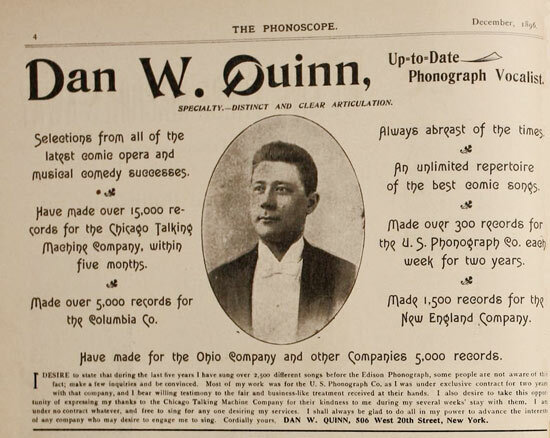 Dan Quinn advertises his services in The Phonoscope, December 1896. So, as far as the blog goes: there are plenty of fascinating things to share with you about the man and his life, but we should probably save some of the revelations for the final product! One item, however, that we won’t have room to explore fully is Quinn’s family. Here’s what we’ve found through our own research.